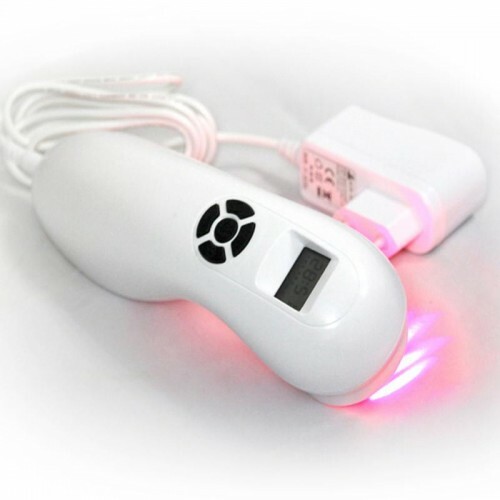 Best price cold laser therapy for family and pets, class 3B 660mW 808nm laser machine, with the laser therapy protocols, to help you get the result sooner, 95% effective for pain relieving and anti-inflammation. 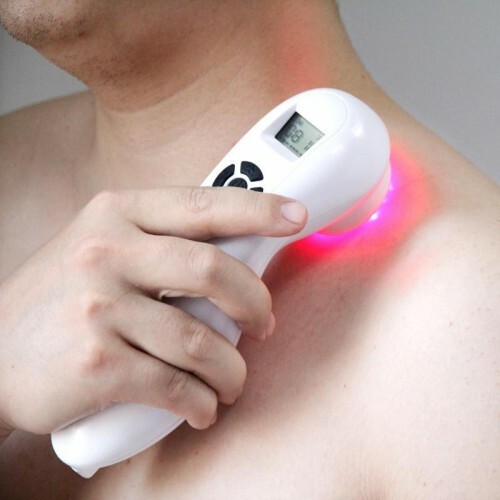 Mechanism of Action:The mechanism of low level laser therapy (LLLT) is combined with wavelength 808nm and 650nm laser, when it gives you the direct irradiation on your knee, joint, neck or spine, thus to improve the microcirculation & metabolism in the irradiated area and increase an abundant blood supply to the injured tissues. In addition, the cold laser device increases the tensile strength of tissue, accelerate the rehabilitation of the sports injury, relieve the pain and anti-inflammation. 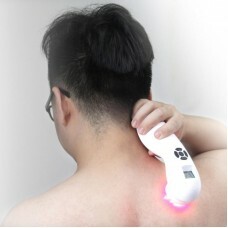 The 660mW cold laser therapy machine has been proven in clinical trials to promote faster healing times and reduce pain. 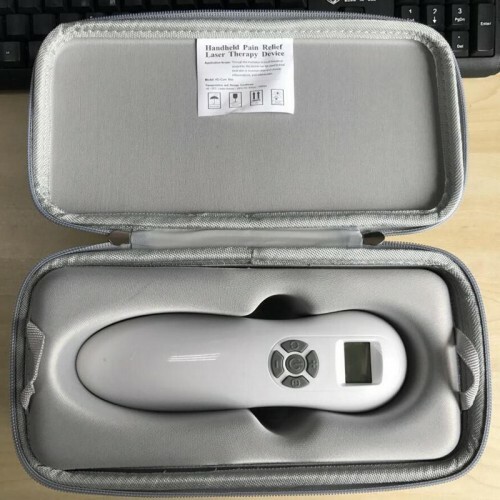 Technical Details:Laser Type: Class 3B Perfect coherence - laser pain relief -808 is the only perfectly coherent beam over an area as large as 4.5 cm².Peak power: High - 660mW (a quarter watt) in micro-pulses, three 808nm laser beam, and twelve 650nm laser beam.Working mode: Pulse mode and continuous modePower setting: Three grade for adjustmentTime setting: Start from 15 minutes, from 15 to 60 minutes adjustableBattery capacity: built-in lithium battery 2600mAhPower supply: with U.S/EU/UK/AU PlugEasy to use: With professional user manual in the English version. 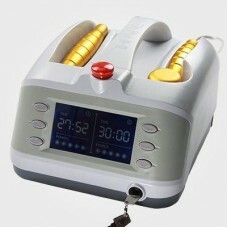 Combine with Chinese Acupuncture to treat the chronic disorder quickly.Indication:Arthritis, back pain, neck pain, joint pain, heal pain, chronic joint bruising, calcaneal spur, acute lumbago, tennis elbow, plantar fasciitisWound healing, gout, ulcers, varicose veinsSports injuries, rehabilitationVeterinary pain relief machine for horse, dog, animalTreatment Advantages of Handy Laser Pain Relief MachineProven results for pain relief, healing acceleration for inflammation, as well as skeletal, tissue, and skin injuries.Enables daily treatment and treatment continuity for optimal results.An ideal device for first aid and immediate care for a large variety of problems.Natural healing and non-invasive, no side effect treatment.Suitable for both professional and homedics iheal.Increases the efficiency of traditional physiotherapy and conventional treatments.Decreases the consumption of chemical medication.Easy to operate and user-friendly.Light, portable, and rechargeable for continuous operation of over 5 hours.What is cold laser therapy contraindications?The laser therapy pen contraindication is pregnancy, cancer, and hemorrhagic diseases are prohibited to use.Treatment MethodThe use method of cold laser therapy is easy, you only need to adopt the laser therapy device to irradiate the place where you feel pain directly, 20-30 minutes per time, once per day, continuously use 7 days, then rest one day, until recover. For the acute pain, swelling, wound, inflammation, only one week, you will get the great effect.For the chronic pain, if you treat according to our laser therapy protocols, you can get the result sooner, we have the clients feedback, they get the positive result for the herniated disc, cervical spondylosis only three treatment...Warranty TermWe guarantee full 2 years warranty, if the instrument doesn't work not for the artificial reason, within the warranty time we will change the new instrument for you, over the warranty time, we will repair for you and only take little charge of material.What will you receive?One hand held laser therapy device, EU/US charger, user manual, warranty card. 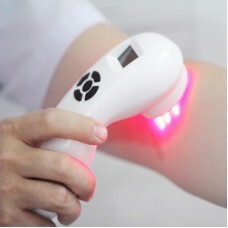 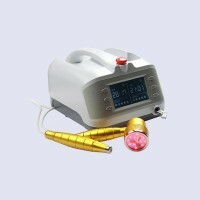 The professional laser therapy protocols, for example, herniated disc, cervical spondylosis, rheumatoid arthritis, varicose veins, heel pain, femoral head necrosis, sciatica, chronic pharyngitis, bronchitis, cold, asthma, pulmonary heart disease and related diseases, cholecystitis, appendicitis, pelvic inflammatory disease, pelvic effusion, hepatic cyst, chronic hepatitis, periarthritis of shoulder, chronic gastritis, superficial gastritis, chronic enteritis, gastric ulcer treatment plan, chronic pharyngitis, bronchitis, cold, asthma, pulmonary heart disease, apoplexy sequelae of the lower extremities, cerebral apoplexy sequela upper limb, Insufficient blood supply to the leg and muscle atrophy, the lumbar shoulder disc protrudes, etc What is the delivery time?After you order, we will ship to you within 2 days, by DHL mostly, you will receive the device about 7 days.